In a move that will seem amazing to anyone living outside the United States, Visa has today announced that it will eliminate the requirement for a signature for EMV payments beginning this April. 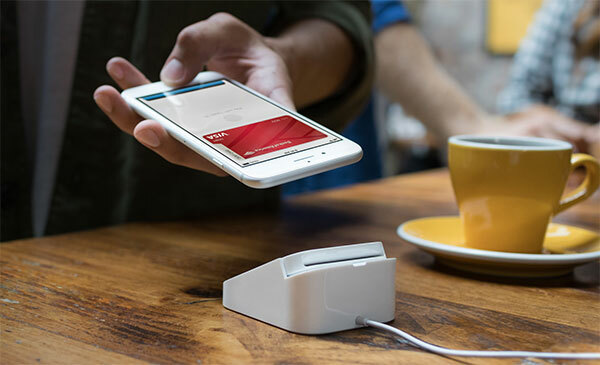 The move will come into effect in both the United States and Canada and will apply to both chip-and-signature credit and debit cards as well as contactless solutions such as Apple Pay and Android/Google Pay. In a move that will hopefully streamline the checkout process for purchases, cashiers will no longer be required to check a signature against the one on the back of a customer’s card. However, this is often not actually carried out by cashiers anyway, making the whole security process less than secure in the first place. The move brings the U.S. and Canada more in-line with countries such as the U.K. where signatures have not been used for payments for a number of years and contactless payments are used extensively. From April, customers in the U.S. and Canada will be able to skip the signature process for Visa cards similarly to Mastercard, American Express, and Discover. This feature parity is no doubt the driving force behind Visa’s move, but no matter the motivation, anyone wanting to buy something with a Visa card should soon be able to forgo the signature part of the process entirely. Sticking the card into these new machines seems like a big step backwards and leaves your card exposed much longer but more importantly slows down the whole paying process. Well, my Visa card had a EMV chip for 10 years now? Can’t recall the last time I had to put a signature. Nowadays it has a NFC chip as well and can you use it for contactless payments. In Europa that is. I haven’t signed a Visa Credit Card to purchase online since 2001.